Are you planning a Pirate Day or looking to bring in a fully costumed pirate to give a talk or provide entertainment that will engage and excite all your children? Looking to support classroom learning with a pirate-flavoured local history and heritage workshop? 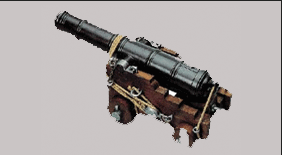 Then hire Pirate Attack to guarantee swasbbuckling games and activities with a generous dose of learning thrown in. 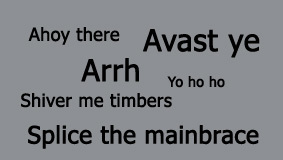 Ooh arrr, shiver me timbers! 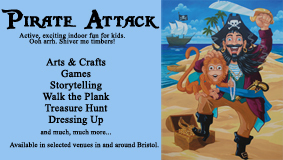 Based in south Bristol, Pirate Attack delivers pirate-themed talks and entertainment to infant, primary and pre-prep school children, aged between 4 and 7 years. We travel to most parts of southern and central England and Wales. 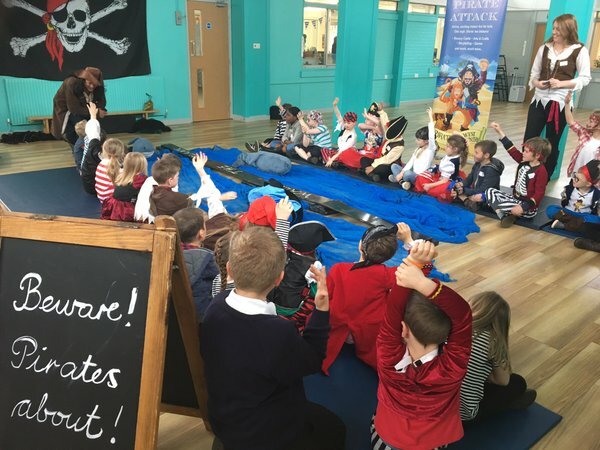 You can choose from hiring a pirate for a single talk or to help deliver a range of talks and activities across a full or half day. The emphasis is on encouraging access and engagement for every boy and girl. Thank you so much for the workshop yesterday. The children absolutely loved it and lots said it was the best day they have ever had in school! I would definitely recommend you to all schools! I was really impressed with the level of organisation leading up to the workshop. The children and staff absolutely loved everything about the day and were so excited when they saw a real pirate in school! The kids had a fantastic time and loved every part of it. 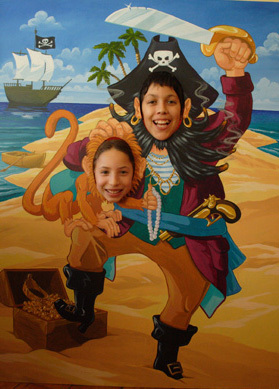 I searched for a pirate experience for my school and after struggling to find anything I found Pirate Attack. They were fantastic in helping to organise the experience with prompt replies and ideas. For the experience the session was set up brilliantly with everything we could possibly need to enjoy and learn throughout the afternoon. The children loved all of the activities that were on offer, all of which were quick, well paced, well structured and well explained. A great experience which I would recommend to others. Jess Higgins, Reception class teacher, Brockworth Primary Academy, Gloucester. Dear Captain Rocky Cliff, the staff and children at St Annes Infants School wanted to say thank you for making our Pirate Day a huge success, the children have not stopped talking about it, especially the walking the plank and pillory. The staff and children enjoyed the day enormously, a big success! Our headteacher, Mary-Jane, came to find me at the end of the day and commented on the high level of enagagment and lovely range of activities that you (and school) provided, we were all really pleased with your knowledge, delivery and resources. The mixture of a factual yet engaging morning leading into pirate games and more adventurous activities gave them a real feel for what life would have been like as a pirate. We will certainly be contacting you next year with a new group of pirates to work with! Mrs Watts, Year 2 Teacher, St Annes Infants School, Bristol. We booked the Pirate Attack experience for our key stage 1 children as a reward event. They had a wonderful time and thoroughly enjoyed every part of their afternoon. There were some very tired but very happy faces by the end. From a school perspective Feisal is professional, organised and comes highly recommended. Thank YOU for a fabulous day! We all so enjoyed it and we have had nothing but positive feedback from the children and parents. We would like to say a big thank you for our amazing Pirate Day. 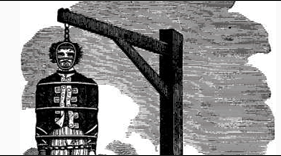 We learnt lots from your talk about Pirates and are now able to imagine what life was like back then. 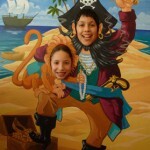 We did not know that there are still pirates today!! It was great fun playing the pirate games and walking the plank., Our teachers have out a picture of us all in the photo board and our mums and dads loved them. 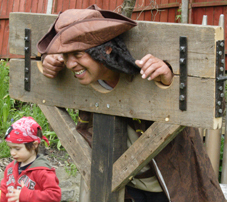 It was so funny when you put Miss Saunders in the stocks. It made us laugh a lot. The treasure hunt was our favourite part. It was so much fun using the clues to find the treasure. It made us think hard about the animals we would find at the beach. We were so enthused by our day we went home and talked about it a lot. We even made pictures, and treasure maps to bring into school the next day. Thank you for one of our best days in Key Stage One. We hope you enjoyed your time at the Grange. Thank you for a fully inspirational day for our staff and children. They were totally engaged from start to finish, applied a range of skills and learnt a bank of knowledge. The day was the perfect wow to our new topic, and is certainly a hard act to follow! We have had nothing but positive feedback from our parents, with some asking how they can book you! Thanks again for an amazing day. I am sure we will see you again in the future. Thank you so much for yesterday. I can’t begin to explain how impressed we were with the day. Captain Rocky Cliff had both the children and staff totally enthralled and the attention to detail, such as the pirate names and treasure hunt, were wonderful. There was the perfect balance between learning and fun and the whole school was buzzing with excitement that a real pirate had come to visit. We all had a fantastic day and hopefully we’ll see you again next year. Thank you once again for all your help on Friday. From our perspective the day was a great success. 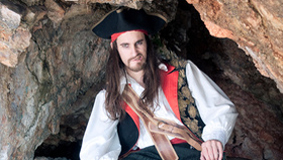 Captain Rocky Cliff delivered thoroughly engaging, funny and lively sessions to our Year 2 classes and it perfectly rounded off our topic on pirates. The children haven’t stopped talking about it and write some great recounts about the experience. Thank you Cap’n, I wouldn’t hesitate to recommend ye! The Reception and Year 1 children at Abbeywoods had a fantastic day! They especially loved the walk the plank. They were all completely engaged and are still talking about their time as pirates. It was a great “wow” moment for our ‘Under the Sea’ and ‘Pirates’ topics. We cannot thank you enough and the adults and children all hope to see Captain Rocky Cliff again soon! I am just emailing to say thank you so much for yesterday! We all had a fantastic day and the children absolutely loved building their understanding of Pirates and the brilliant activities which you had planned for the day. They were all delighted with their treasure! I know that the experience will certainly help to support their learning for the rest of our Land Ahoy topic! We hope to see you next year! Just to thank you for a really great day both the staff and children had a wonderful time from start to finish. I hope you got home safely. We look forward to seeing you again next year.Very best wishes. Just wanted to drop you a quick email to say a massive thank you for your fun-filled day last Wednesday. The children learnt lots, were having such fun and we have had some great comments about Captain Rocky Cliff since! We would LOVE to book you again for next year. Just wanted to say a huge thank you for the amazing time you gave our key stage 1 children. It was a great way to kick off our topic and they all really enjoyed themselves. They are still enjoying playing ‘walk the plank’ at playtime. The session was fun, informative and kept all children interested which is no easy feat. Thanks again I will definitely be in touch to book again. Sarah Harvey, Greenfield E-Act Academy, Bristol. Recently we have had Captain Rocky Cliff visit our school for all of KS1 and Reception. It was a fun filled day with an interesting talk at the start which engaged the children and really helped enhance the rest of the week’s learning. Also, we had a variety of games in which the children enjoyed taking part. 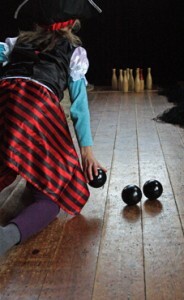 The best part for the children was going through Blackbeard’s ‘suitcase’!!! They have remembered lots of new facts. I just wanted to email to say thank you so much for your workshops yesterday – the children all thoroughly enjoyed it and were still talking about it today! 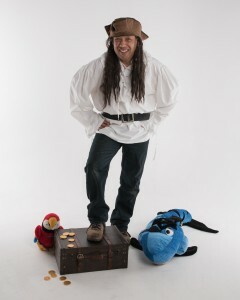 I just wanted to thank you so much for the fantastic pirate workshop yesterday. The children had an amazing time! There were so many nice activities for the children to enjoy. Much appreciated. For pictures from Repton Preparatory School, Derbyshire, click on the school website here. For Robin Hood Academy, Birmingham click here. For Shears Green Primary School, Kent click here. For Bishop Road Primary School, Bristol click here. We are CRB/DBS screened and carry relevant public liability insurance. We also can provide risk assessments. If you would like to hire Pirate Attack please send your enquiry to ahoy@pirateattack.co.uk or telephone 0117 939 4311.